A Fond Farewell to Sylvia Kane | What's Happening at the Gingrich Library? 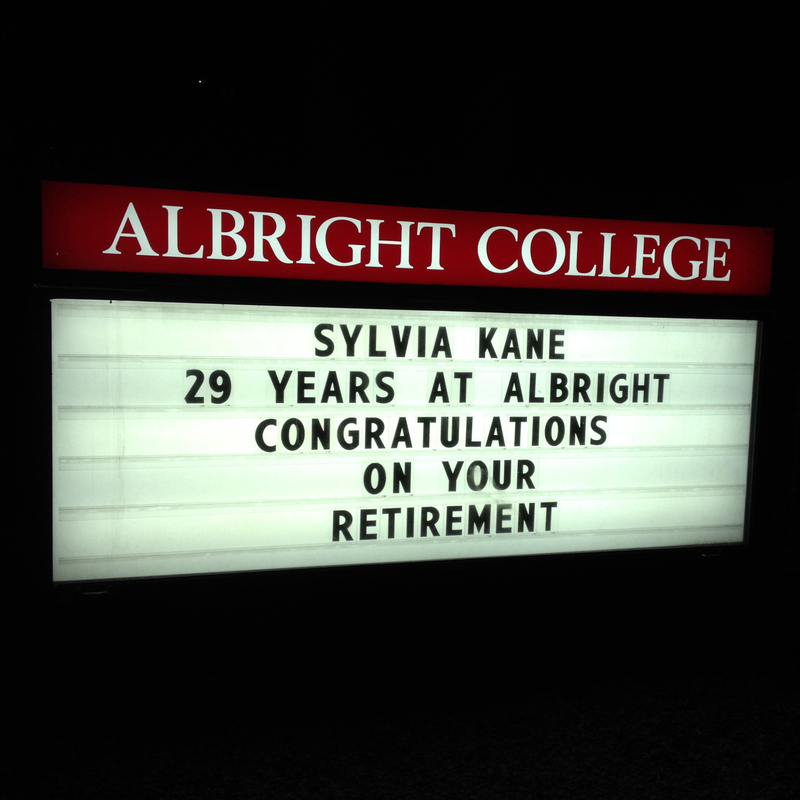 It is with a mixture of emotions that we announce the retirement of the Library’s own Sylvia Kane, who has retired from Albright College after 29 years of service. In addition to her years in the library, Sylvia worked with the Registrar and Continuing Education departments. She has no desire to slow down in retirement, planning to take college classes and volunteer through the hospital and church. This entry was posted in Library Staff and tagged Library Staff, Retirement. Bookmark the permalink.